Warner Bros. Pictures has released The LEGO Ninjago Movie trailer, which you can view below along with the new poster! Let us know what you think about the trailer and poster in the comments. 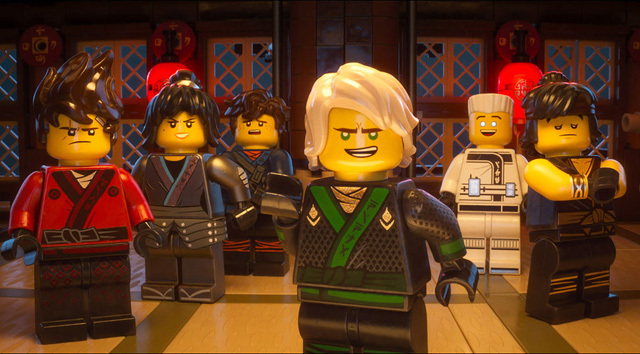 A new animated adventure in Warner Bros. Pictures’ LEGO franchise, The LEGO Ninjago Movie stars Dave Franco, Justin Theroux, Fred Armisen, Abbi Jacobson, Olivia Munn, Kumail Nanjiani, Michael Peña, Zach Woods, and the legendary Jackie Chan. Jackie Chan (Kung Fu Panda, The Karate Kid) stars as Master Wu; Justin Theroux (Megamind, The Leftovers) is Garmadon; Dave Franco (Neighbors 2: Sorority Rising) plays Lloyd; and Olivia Munn (X-Men: Apocalypse) is Lloyd’s mom, Koko. Making up the secret ninja crew, Fred Armisen (The Jim Gaffigan Show, SNL) voices Cole; Abbi Jacobson (Neighbors 2: Sorority Rising) plays Nya; Kumail Nanjiani (Mike and Dave Need Wedding Dates) is Jay; Michael Peña (Ant-Man, The Martian) is Kai; and Zach Woods (Silicon Valley) voices Zane. The LEGO Ninjago Movie marks the feature film directorial debut of Charlie Bean (TRON: Uprising). The screenplay is by Hilary Winston & Bob Logan & Paul Fisher, story by Kevin Hageman & Dan Hageman and Hilary Winston & Bob Logan & Paul Fisher, based on LEGO Construction Toys. The LEGO Ninjago Movie is produced by Dan Lin, Phil Lord, Christopher Miller and Roy Lee, who previously collaborated on the worldwide box-office phenomenon The LEGO Movie, along with Maryann Garger (Flushed Away). Serving as executive producers are John Powers Middleton, Seth Grahame-Smith, Chris McKay, Jill Wilfert, and Keith Malone. The film is slated to open nationwide on September 22, 2017.